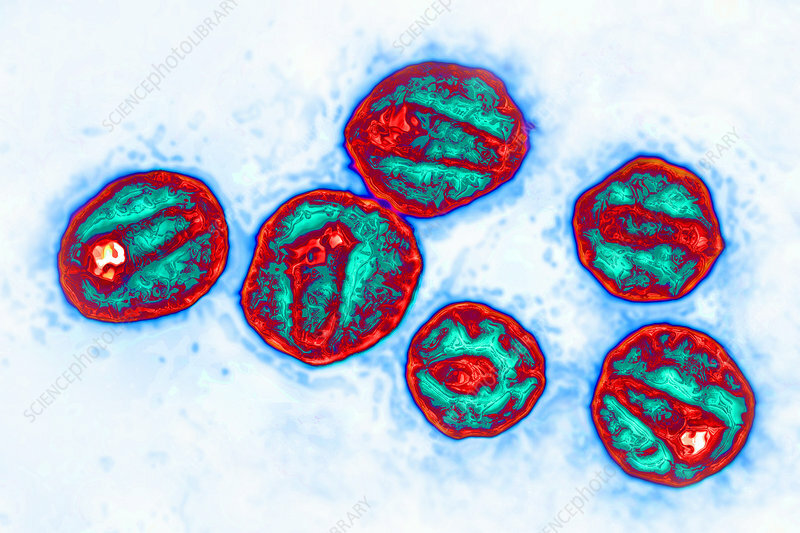 Enhanced transmission electron micrograph (TEM) of the HIV virus responsible for AIDS (Acquired Immunodeficiency Syndrome). HIV is a retrovirus of the lentivirus kind, it provokes an collapse of the immune systems. Viral diameter approximately: 145 nm.